Rajasthan Recruitment 2016 on Animal Husbandry for 116 Driver Posts Apply: Rajasthan Animal Husbandry Recruitment 2016 Department of Animal Husbandry Government of Rajasthan has going to fill the 116 Driver postilions in various designation departments candidates who are looking for govt jobs in rajasthan this is the best opportunity to apply for Rajasthan Animal Husbandry Recruitment 2016 Apply 116 Driver Posts notifications they can read all the instructions and prospectors carefully then apply before the last date of application received. Candidates who are the completed or apprenticing 8th (or) 10th Class are they eligibility for this notification. Important Circulars/Orders - Animal Husbandry Rajasthan Total 116 vacancies are are waiting to fill the Driver positions in Rajasthan. More details like employment notification details Recruitment, Educational Qualifications, Age Limit, Pay Scale, and Selection Procedure are available at the official website available here. Employment Notice - The Official Website of Rajasthan Animal Husbandry Recruitment 2016 Applicants those who are the preparing hardly for Govt jobs Rajasthan this is the precious opportunity to Register yourself and apply online method. Competitors and occupation seekers here the details given below full notification details of Animal Husbandry Recruitment as the regular notification advt permitted jobs. Reference: Appliers those searching for contract base jobs in Rajasthan you may check home page contract jobs. Here given below you may check http:/www.animalhusbandry.rajasthan.gov.in Online Registration reference links are available you may log on given below website. You may Read all the full job notification and application guidelines details given below. 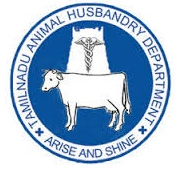 Organization: Animal Husbandry Recruitment 2016. Designation of the job: Driver. Paying Salary per month: Rs.5200/- -Rs.20200/- . Academic educational qualification: 10th, ssc, 8th or its identical qualification. Process of selection for the job: Written Test and Interview. Candidates Age Limit: should be minimum 18 years to 35 years. more details available on official advt. Fee: Application have to paid Rs. 300/- for General/OBC category candidates and Rs. 150/- for SC/ST. DD be taken by the name demand draft drawn in favour of “Director, Animal Husbandry Department, Rajasthan, Jaipur. 1. Applier should log on official website - http:/www.animalhusbandry.rajasthan.gov.in. 2. Then select the Rajasthan Animal Husbandry Recruitment 2016 download the pdf act then read all the instructions and prospectors. 3. Now click the apply one fill the application form and remit application fee. Important dates: online application form submission last date received 01-10-2016.